Most of the rich, famous and powerful people in our country like the rest of us prefer SUVs, though the ones they use cost at least 10 times the ones we drive. However, there a crop of few Indian celebs, who prefer to ride along in supercars with top speeds in excess of 300 km/h. In this post, we’ll take a look at a few of these celebs and their extremely fast rides. The fastest car owned by an Indian celebrity is the Lamborghini Aventador SV owned by actress Mallika Sherawat. The Aventador is powered by a 6.5-litre V12 engine that produces 740 PS and 690 Nm of torque. The Aventador sprints from 0-100 km/h in 2.9 seconds and has a top speed of 349 km/h. Gautam Singhania is the head of the Raymond Group and is known for racing Ferraris and owns quite a few supercars. His latest ride is the McLaren 720S which is powered by a 4.0-litre twin-turbo V8 engine with 710 Bhp and 770 Nm of torque on tap. The McLaren 720s sprints from 0-100 km/h in 2.8 seconds and has a top speed of 341 km/h. His McLaren 720S also features an autograph from former two-time F1 champ Mika Hakkinen. Yuvraj Singh is known for his love of bikes and cars and the fastest vehicle in his garage is the Lamborghini Murcielago LP640-4. The Lamborghini Murcielago LP640-4 was powered by a 6.5-litre V12 engine rated at 631 Bhp and 660 Nm of torque. This mad-cap Lamborghini could sprint from 0-100 km/h in just 3.2 seconds and had a top speed of 340 km/h. UK Hip-hop artist of Indian origin Hard Kaur is the proud owner of a Ferrari 458 Italia, which she bought from Big Boyz Toyz. The 458 Italia draws power from a 4.5-litre naturally aspirated V8 engine that produces 562 Bhp. The Ferrari 458 Italia sprints from 0-100 km/h in 3.4 seconds and has top speed of 340 km/h. Another one of Gautam Singhania’s supercars to make this list is the Ferrari 458 Challenge. Singhania races this car in the Ferrari one-make championship. The race-spec Ferrari 458 Challenge used by Singhania has top speed of 338 km/h and the Raymond Boss also has won a few races with the race-spec supercar. 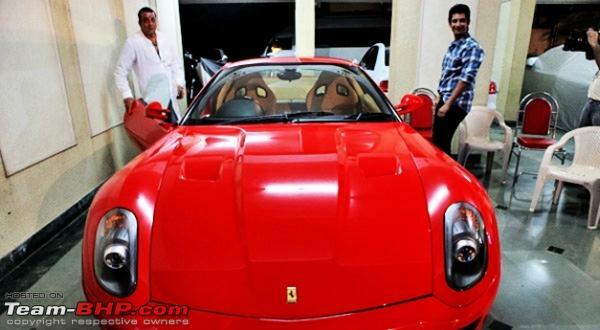 Sanjay Dutt over the years has owned quite a few exotic cars, but the fastest of the lot has to be his Ferrari 599 GTB. The 599 GTB was powered by a 6.0-litre V12 engine that produced 670 Ps and 620 Nm of torque. When in production, it sold for more than Rs 3.5 crores in India. The 599 GTB could sprint from 0-100 km/h in 3.3 seconds and has a top speed of 335 km/h. The next car on this list is another Ferrari, though this one is a convertible. Bhushan Kumar’s Ferrari 458 Spider’s 4.5-litre engine cranks out 562 Bhp and 540 Nm of torque. The Ferrari 458 Spider can sprint from 0-100 km/h in 2.9 seconds and has a top speed of 320 km/h. 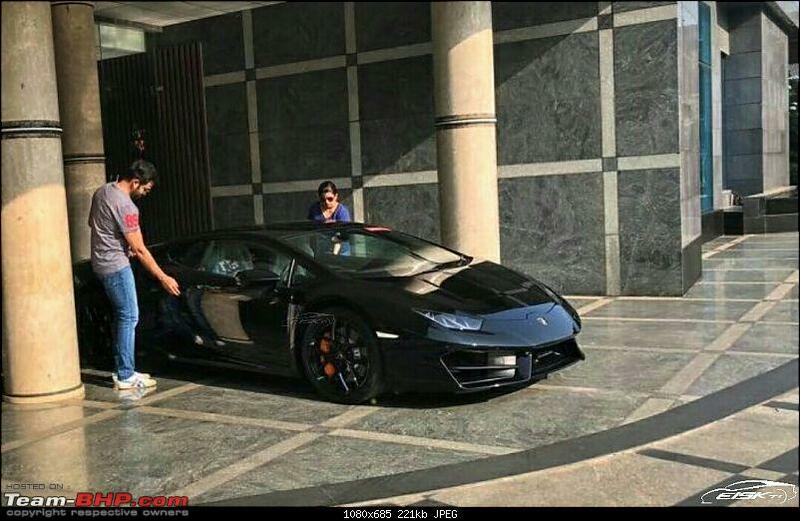 Malayalam Film actor Prithviraj Sukumaran is another celeb who fell in love with a Lamborghini. His Huracan is rather special as it is the LP 58-2 rear-wheel-drive variant. The Huracan LP580-2 is powered by a 5.2-litre V10 engine that produces 572 Bhp and 540 Nm of torque. The Lamborghini Huracan LP 580-2 can sprint from 0-100 km/h in 3.4 seconds and has a top speed of 319 km/h. 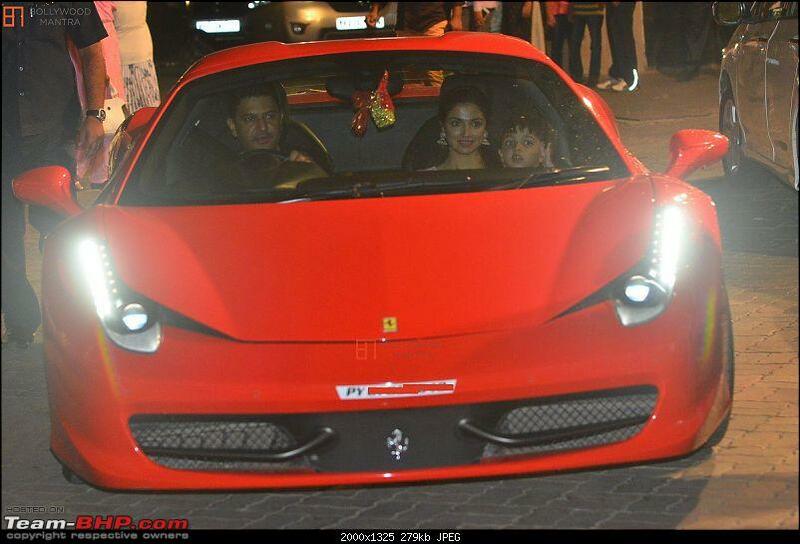 Actress Shilpa Shetty owns a second-gen Lamborghini Gallardo. The second-gen Gallardo is powered by a 5.0-litre V10 engine that cranks out 513 Bhp and 510 Nm of torque. The second-gen Huracan can sprint from 0-100 km/h in 4.0 seconds and has a top speed of 315 km/h. Actor John Abraham’s supercar of choice these days is a Nissan GT-R. The Japanese supercar nicknamed Godzilla is powered by a 3.8-liter twin-turbo V6 engine that produces 562 Bhp and 630 Nm of torque. The GT-R can sprint from 0-100 km/h in just 2.7 seconds and has a top speed of 310 km/h.